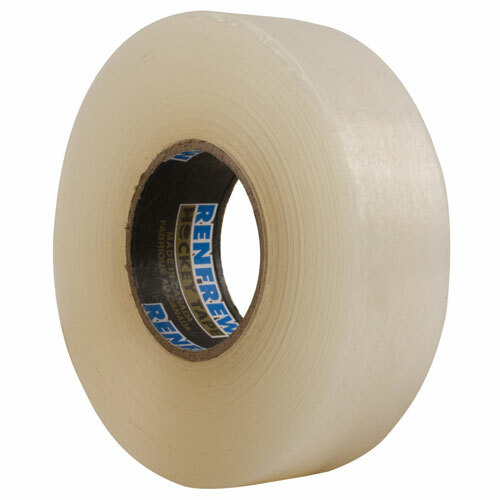 Did you know that Renfrew Hockey Athletic tape is the Number One tape used in the world as well as the the Hockey Industry. Scapa – (Renfrew) bases its approach on a deep understanding of the core markets. This understanding allows it to anticipate tomorrow’s customer needs. Scapa works closely with leading global partners in its target markets, developing specialised adhesive tape bonding solutions for OEM’s, distributors such as HockeyDogs. One of the draw backs in purchase of tape is cost of shipping. HockeyDogs is now offering a price that calculates the shipping within the pack that, in the long run, is less costly to the buyer. You may now buy your tape in increments of 2, 4, 6, 8, or even by Arena Pack cases with free shipping. 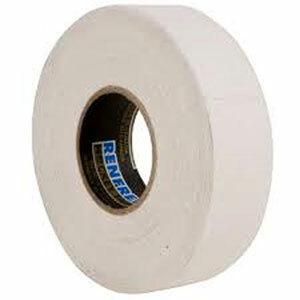 By far, Renfrew tape is the most popular athletic tape in the Hockey industry. Pro-Blade XT, Cloth in colors and It’s Batman, Superman and printed cloth tape are no exception to the rule and can be seen in use abundantly. Some have reported fraying, splitting off or peeling as a weakness in the adhesion used by Scapa which we found as non-existent or overly exaggerated claim. No other athletic tape may be found to last forever, but none can withstand the onslaught received while playing hockey better than Scapa (Renfrew). It would seem that most Tackla apparel and protective gear are migrating to JAMM products, exclusively manufactured for Montreal Hockey Company – USA. While quality is improved, all JAMM products are smoother, stronger and more pliable in their applicability. These include Gloves, Beginner and intermediate Pants, Shinguards, Shoulder Pads, Elbow pads Hockey Bags, Pant Shell Covers and some accessories for now, i.e. Pant Belts, Skate Soakers, etc. Rest assured that quality is not compromised while costs to the consumer are considerably lowered. Currently All Tackla JAMM products are only found on the HockeyDogs website. Parents who are starting ice hockey for their youth, would do well to see the ALL New Tackla JAMM products for the beginners. Most dramatic migration is occurring in the Tackla JAMM Hockey Equipment Bags . Essentially the JAMM equipment bags feature all the advantages offered through Tackla bags with the addition of utilizing softer, smoother and more resilient material that gives the bags their functionality and great looks. 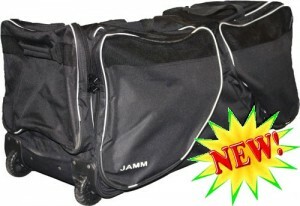 The newest line of products by Montreal Hockey Company USA is their JAMM Sports products. Montreal Hockey USA is all about your Total Hockey needs for protective, Pants, Girdles, Shell Covers, Gloves, Goalie and Player Sticks, Replacement Blades, Jerseys and Socks for the Advanced as well as the beginner or novice player. It also manufactures the much needed apparel such as Track Suites and Pants, Warm Up Jackets and Pants as well as Soft Shell Hoodies. Its mission is to supply the user pure hockey products. HockeyDogs has partnered with Montreal Hockey Company (Tackla USA). HockeyDogs now has access to the entire inventory of Tackla, Montreal Hockey Protective Products, Sticks, Replacement Blades, Frontier Sticks and Blades along with the superior hockey helmet visors. Tackla USA is one of the giants when it comes to Hockey Pants and Girdles.